Da ist eine kriminelle Berührung in der Kunst. Video of the performance (1976). Ulay, Da ist eine kriminelle Berührung in der Kunst. Still from the video of the performance, Berlin (1976). Courtesy of LIMA Amsterdam. Born 1943 in Solingen (DE). Lives in Amsterdam (NL) and Ljubljana (SL). Ulay is a pioneer of body art, performance art and Polaroid art, as well as an internationally travelled social activist. He has been realizing performances and actions since the 1960s and worked in the fields of experimental photography, film and environment until 1975. From 1976 to 1989 he worked together with Serbian-born artist Marina Abramović, with many of their collaborative performance works reaching an iconic status. The conceptual backbone of all his work is represented by the relationship body-space-society, as well as to undertake a thematic search to understand the notions of identity and the body on both personal and communal levels. 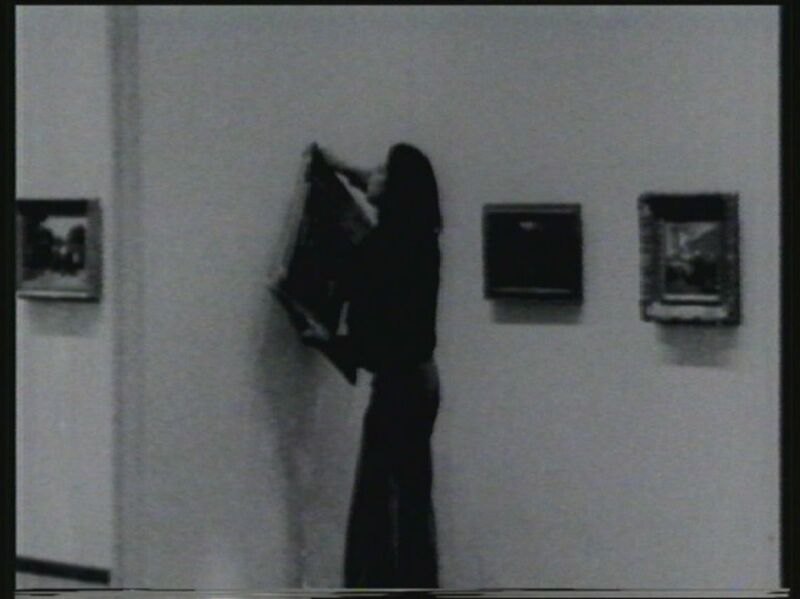 The VENICE INTERNATIONAL PERFORMANCE ART WEEK 2014 shows the video Da ist eine kriminelle Berührung in der Kunst, documenting the carefully planned, executed and documented live event with political background that Ulay carried out in Berlin in 1976. He stole the painting Der arme Poet by Carl Spitzweg from the Neue National Galerie, to then drive it through the city, and finally hang it on the living-room wall of the home of a Turkish migrant family in Berlin close to the Künstlerhaus Bethanien. Der arme Poet had a special reputation in Germany, as it was the most expensive and famous work regarded as an icon of German national pride. By transferring it from the Neue National Galerie to the working-class dwelling of a Turkish migrant family, Ulay meant to expose the attitude of German nationalists towards Turkish immigration in Germany. Prosecuted for this action, Ulay had to choose between a prison sentence or a punitive sanction, and consequently left Germany for good.